Today I have a post for you from Jenny at Sprinkles & Sundresses! 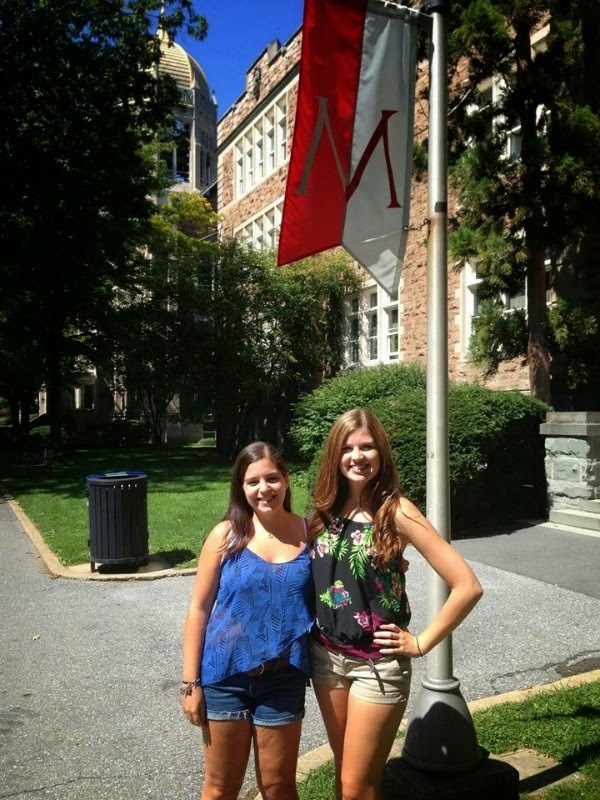 I'm thrilled to have a fellow Alpha Gam doing a blog post for me while I was supposed to be in Greece. Jenny is such a sweetheart and has an awesome blog. Read here for a little more info on how we met and a blog swap we did a few months back. 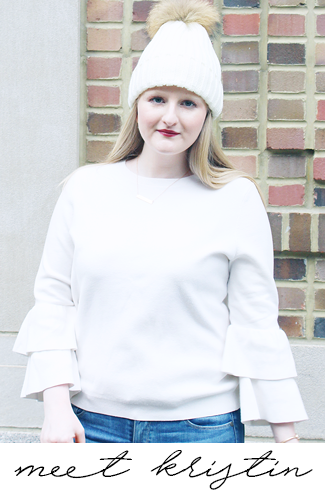 I'm really excited to share Jenny's post with you today because it is on a topic that she knows well and is something that I could not write about, so I love that I get to bring you guys something so different! Oh hey friends! It's Jenny from Sprinkles & Sundresses and I am so happy to be visiting Kristin's blog again. I just finished my sophomore year of college- at my second college. I have an entire series on my blog about my transfer experience and you can find that here. I spent all of last summer deciding to transfer and then stressing out about whether or not it was the right decision. So when Kristin suggested that I write a list of things transfer students should know, I thought it was a fantastic idea! Day 1 at my new school. 1. Yes, it is going to be difficult. Transferring is freaking hard. You feel like a freshman all over again (and who wants that?) meanwhile the people your age already know each other so they aren't looking for friends like you are. It takes time and patience to meet people. 2. You need to put yourself out there. Part of that meeting people requires that you join things and volunteer for things- lots of things. You won't stick with everything but it is super helpful to meet more people- even if you only get to know them well enough to say hi when you pass each other on campus. 3. Different schools are more different than you can imagine. I knew I was going to a much smaller school. I knew the culture would be different. I didn't know that the smaller class sizes would make such a big difference in the learning experience. Even if you think you are going to a relatively similar school, they will have different traditions, different atmospheres, different everything. It can be hard not to constantly compare the two but you have to try. Focus on moving on rather than comparison. 4. Be prepared to explain why you transferred a million times. And if your actual reason is too personal- prepare a response that you are comfortable sharing. Because they will ask. Over and over and over again. 5. You will miss some things. As a part of those differences, you will find that there are parts of your previous school that you miss. You have to remember that that is okay. But you also have to remember why you left- because you had your reasons. You can be happy that you left and still want to go back and visit. 6. Go all in. The best thing you can do for yourself is commit. Try new things. Stay positive. And be patient. My second semester was very different from my first semester. And who knows? 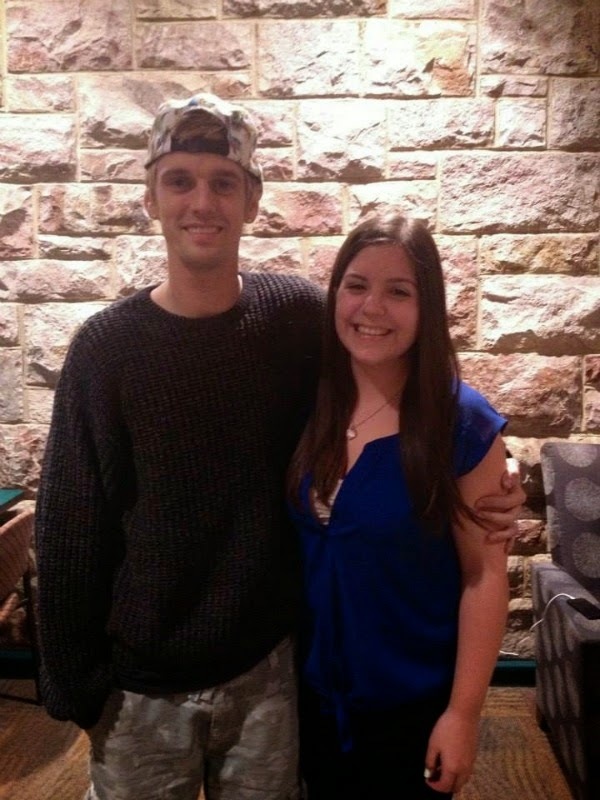 You might get to do something awesome like meet Aaron Carter. If you are transferring or thinking about transferring and would like to talk to me, I am here for you! I would also love to hear from you regardless, so come visit me! Cute post! I, too, transferred colleges as a sophomore so this post was very relatable for me. It really is a very strange feeling to be a sophomore but feel as lost as a freshman (...only worse, because freshman year everyone else your age is in the same boat!). But at the end of the day, I could not be happier I transferred! I even took time off from posting to my blog this past semester because I was enjoying myself so much. Glad you stuck it out (I also just read your Transfer Diaries).